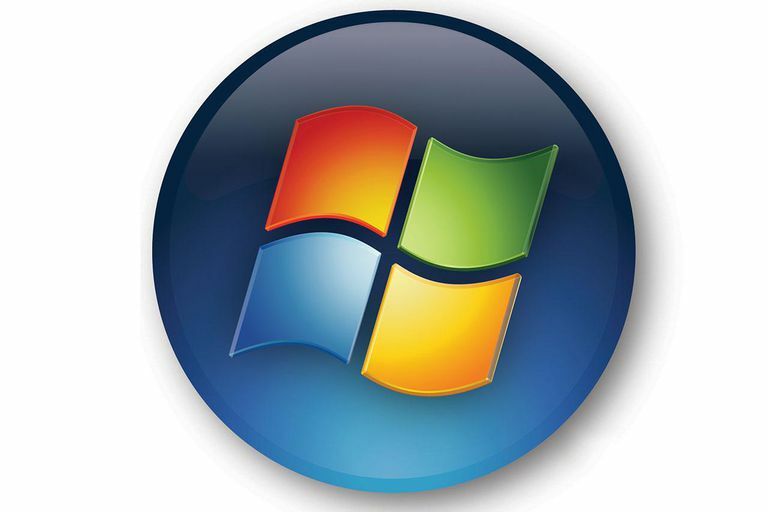 This article was originally written back when Windows Vista was released but even with Windows 10, there are 32-bit and 64-bit versions which have the same limitations in terms of the amount of memory that can be used with the computer system. For some time now, computer processors have supported 64-bit computing but there are still cases that they still have only 32-bit support. Even if you have a 63-bit processor, so you may only be running a 32-bit version of the software. With a PC running Windows XP, having a single gigabyte of RAM on the system meant that you could only reliably run a single program without any issues. Heck, it could even multitask fairly well. Enter Windows Vista with its fancy new interface and additional system requirements. Now one gigabyte of RAM is pretty much required for it to run and two gigabytes is necessary for smooth running of applications. Vista really benefits from having more memory, but there is a problem. Windows XP was solely a 32-bit operating system. This made things very simple as there was pretty much just a single version to program for. Back when it was developed, most systems only came with 256 or 512MB of memory. It would run on these, but more memory was always a benefit. There was a problem, though. The 32-bit registers of Windows XP and the hardware of the time limited PCs to a maximum 4GB of memory. It is a bit more complicated than this, as some memory is reserved for the OS and others for applications. This was not an issue with the applications of the time. Sure, there were some applications such as Adobe Photoshop that could quickly eat up system memory, but they still could function very well. Of course, with the reduction of memory costs and the advancement of processor technology meant that 4GB of memory in a system is not something that is out of reason. The problem is that Windows XP cannot handle anything beyond 4GB of RAM. Even though the hardware could support it, the software could not. Vista Solves the 4GB or Does It? One of the big pushes by Microsoft for Windows Vista was to resolve the 4GB memory issue. By rebuilding the core of the operating system, they could adjust how the memory management worked. But there is actually a bit of problem with this. There are a number of versions of Vista and they have different maximum amounts that they support. According to Microsoft's own knowledge base article, all 32-bit versions of Vista support up to 4GB of memory, but the actual usable address space will be less than 4GB. The reason for this is that a section of the memory is set aside for memory map interfaces. This is generally a space that is set aside to ensure driver compatibility and the amount used will vary depending on the devices installed in the system. Typically, a system with 4GB of RAM will report only 3.5GB of addressable space. Because of this memory issue by Vista with systems installed with 4GB of memory, a number of companies are shipping systems configured with 3GB (two 1GB and two 512MB modules) total in the system. This is likely to prevent users who purchase the system from complaining that the system says they have less than 4GB of RAM and contacting them to complain about it. Now, the likelihood of PCs reaching even 8GB by the end of 2008 is quite low. Even the 16GB limit of Home Premium will probably not happen before the next version of windows is released. Of course, there are other issues regarding the 64-bit version of Windows. The big concern for those looking to use it is driver support. While most devices now have drivers for the 32-bit version of Vista, it is a bit more difficult to find drivers for some devices with the 64-bit version. This is improving the further we get from the launch of Vista but not as rapid as with the 32-bit drivers. The other problem is software compatibility. While the 64-bit version of Vista can run 32-bit software, some applications are not fully compliant or supported by the publisher. One such instance is the iTunes application from Apple that many people are having to tweak until Apple releases a compliant version. Most new laptop and desktop PC systems sold now have the 64-bit hardware that supports memory addressing above the 4GB limit. The problem is that most manufacturers are still preloading the 32-bit versions of Vista. Sure, they aren't selling the systems with 4GB of memory installed in them, but users have the option of installing that memory later as an upgrade. When that happens, consumers will likely start flooding their call centers reporting problems. If you are looking at buying a new PC and you happen to use a large number of memory intensive programs, then you should really consider purchasing a system that comes installed with a 64-bit version of Vista. Of course, always do research with the companies to make sure that the hardware you use such as printers, scanners, audio players and the like have drivers. The same should be done with any software that you use. If all that checks out, then it is best to go with the 64-bit version.